Well, that didn't take long! Bob Knapp "resigned" from his position as Recreation Manager on January 31st and yesterday, February 7th, the City of Costa Mesa announced the appointment of Penny Loomer, a 65-year-old retired Assistant City Manager from the City of Westminster, as an interim replacement for him. Loomer will begin this assignment on February 11, 2014, and will work 30 hours a week at $76.90 per hour. That's right at 10 grand a month for a part-time job. You can read the information on the City web site HERE. One presumes she will report directly to recently appointed Assistant Chief Executive Officer/Administrative Services Director, Tammy Letourneau. According to a very recent article in the Orange County Register, HERE, Loomer has run for city council in Westminster several times beginning in 2006. Each time she was defeated by young men of Vietnamese heritage. However, she was appointed last month to the Westminster School Board when the incumbent resigned for family reasons. WHAT ABOUT THE SENIOR CENTER? I find myself wondering what part Loomer, a retiree, will play in the current drama going on with the Costa Mesa Senior Center. Knapp was the staff liaison to that organization until he left. It came as absolutely NO surprise here at the old Cauldron that Tammy Letourneau was announced today as the successful applicant for the recently-created position of Assistant Chief Executive Officer/Administrative Services Director. You can read the announcement HERE. You may recall that, when this position was announced the middle of last month, I speculated that it was created specifically for Ms. Letourneau, HERE. I does not surprise me at all that she is now going to fill this slot beginning on February 17th. It's obvious, since it's been less than a month since the job was created, that NO outside recruitment has taken place - this slot was hers from the get-go. Don't get me wrong... her credentials are very strong and she has a professional history with CEO Tom Hatch that goes back many years. 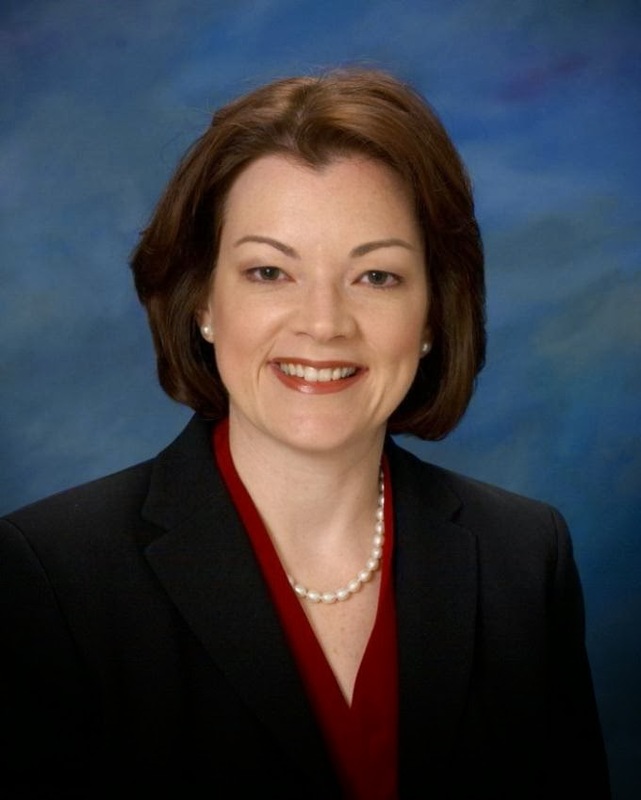 In her role as consultant, she's been a "virtual" employee in the City of Costa Mesa since almost the day Hatch took over as City Manager - then CEO. 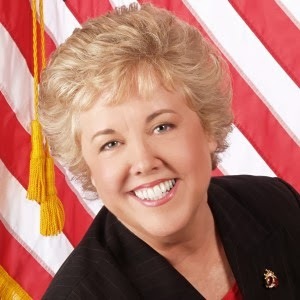 The firm she worked through, Management Partners, has made a lot of money in the city during that time, including performing a lengthy - and mostly ignored - audit of the Costa Mesa Police Department and the much more recent very critical assessment of the Costa Mesa Senior Center. I view this announcement with strong mixed feelings. On one hand, as a guy who recruited for a living for decades, I recognize that Hatch has had a long test drive with Letourneau working as a consultant, so certainly is in a position to know her strengths and weaknesses. From that standpoint, her selection makes sense. However, I'm more than a little uncomfortable that it appears this position and the recent reorganization that created the Parks and Community Services Department (which includes Senior Center oversight) was cobbled together to meet her specific skill set - and done immediately after the Senior Center Audit was completed. And, of course, I'm distressed that, while ALL other parts of the City government are suffering greatly due to staffing shortages, the fifth floor "Executive Offices" continues to bulk up. 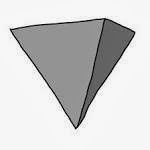 One day this upside-down pyramid may simply topple over because of the weight at the top. And, I wonder what role she played, if any, in the curious abrupt departure of Recreation Manager Bob Knapp two weeks ago? So, we will watch to see how her assignment plays out, and if the City will be a better-managed organization because of her performance in this new job. And, we will join the anxious members and management of the Costa Mesa Senior Center to see if Letourneau's appointment in a position that oversees their organization may result in the City taking over the operations of that facility. And, we will be interested to see what happens if Hatch finally begins to push back on some of the ill-advised, illegal and just plain stupid moves this council has been making since they took over and they fire him for it. Letourneau has been a City Manager elsewhere - twice. The irrepressible Orange County Register columnist, Barbara Venezia, has published an outstanding column today, which can be read either on the Register web site or HERE, on her personal web site. 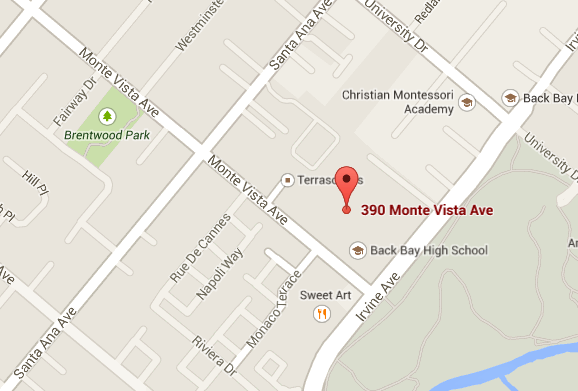 In her column, titled, "Who's minding Costa Mesa's business? ", Venezia delves into the management of Costa Mesa, and focuses on the now-notorious 60th Anniversary Celebration. Since you all can read it for yourselves, I'll provide you with a hook that should encourage you to do just that. The final sentence in her column is a question: "How long can a business survive being run as poorly as this one appears to be?" In an article by Jeremiah Dobruck in the Daily Pilot Thursday night, HERE, it was announced that the Costa Mesa Police Department will, once again, be providing School Resource Officers to both Estancia and Costa Mesa high schools starting next Monday. According to the report, even though the CMPD staffing is at critical low levels, officers will work overtime hours and some will volunteer to fill the positions that have been vacant for more than a year. ** NOTE: Apparently Dobruck got it wrong and I amplified it. Members of the CMPD are forbidden by Federal Law to "volunteer" their time on the job. What they are doing is volunteering to work part or all of their normal shift and/or work overtime in the SRO positions at the high schools to meet the public safety demands at those venues. So, even though Mayor Jim Righeimer and his majority on the City Council have attempted to sabotage the safety of the community by prohibiting timely hiring and stubbornly refusing to recognize the need to staff the department appropriately, the men and women of the Costa Mesa Police Department - who obviously care more about the residents of this city than some members of the elected leadership do - have stepped up to fill the need. By the way, when you go to that linked article, be sure you read the comment from "NewportMesa Tea Party". It clearly demonstrates the lunacy that dominates political decisions in our community. Kudos to the men and women of the CMPD, and to Chief Tom Gazsi and his command staff, for encouraging and supporting this initiative to help keep the children of this community safer. Wednesday night the Costa Mesa Sanitary District hosted yet another - the third - town hall for residents to learn about, and ask questions about, the proposed Organics Recycling program. Approximately 30 residents attended the event at the Halecrest Community Center. Sanitary District General Manager Scott Carroll and CR&R Environmental Services Project Manager Mike Silva again made presentations explaining the new program, both of which had been updated with information in response to questions asked in the earlier two meetings and the most recent Sanitary District Board meeting last month. 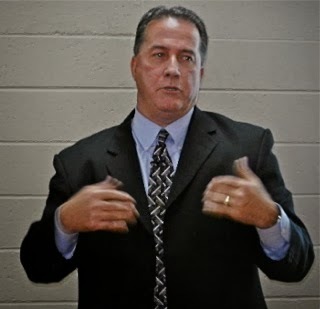 You can view the slide show of Carroll's presentation HERE, Silva's HERE and view a video recorded by Barry Friedland for his Costa Mesa Brief YouTube channel of the second town hall HERE. 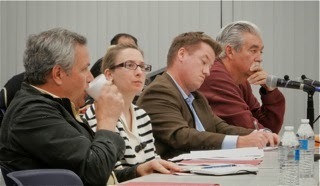 Nearly a dozen of the attendees stood to ask questions and/or to make observations. There were many new faces in this audience. I estimate that between the three town halls and the Sanitary District meeting last month, nearly 200 residents have attended these briefings, with one more to go on Saturday. Once again Silva did a good job of describing the technology to be employed in this new process, and the reason why it was necessary. In a nutshell, new laws require municipalities to divert at least 75% of its waste from landfills by 2020. The CMSD currently diverts 57%. The new process, if followed by most ratepayers, could result in 75% diversion by 2015 and 90% by 2020. 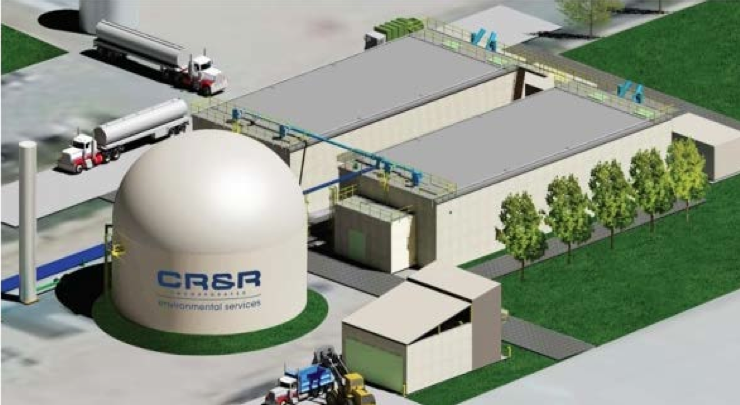 CR&R is building a $20 million facility in Perris, CA to handle this new process, which will produce fertilizer and clean natural gas as byproducts. Carroll explained the collection process and the finances of this new system. He discussed the possiblity of using $4 million in solid waste reserves to cover the increased costs for the next several years, and also alternatively use an incremental increase over a period of time. He also discussed the practicalities of the change and his location of biodegradable bags. CR&R wants the CMSD to be among the first to use this new process and has guaranteed us the lowest rates for using it, even if they negotiate lower rates elsewhere later. If the Sanitary District Board approves this change at their meeting on February 25th the new process - and new carts to be used - would not take place until a year from now at the earliest. One of the main concerns many residents had at previous meetings was how to manage the table scraps - the food waste we all now either just run through our garbage disposals and down the drain or throw in our trash cans. Under the new proposal green waste - grass, tree clippings, etc., would be mixed with food waste in an "Organics" cart. All other trash would go in our old familiar trash carts. It is proposed that a small tub be used in the kitchen to collect the food waste, which would then be emptied into the Organics cart. The CMSD management has identified compostable plastic bags that fit in the kitchen-top tubs that could be used to transport that waste to the cart. That seems to solve one of the main concerns. A simple Google search identified several sources, including Amazon.com and Target Stores. The following image shows the time, date and place of the next town hall - on Saturday - and the next Sanitary District Board meeting on the 25th. I expect the Board to approve this new process and will probably decide to spread the cost of the new program out incrementally each year by raising the current rates approximately $1.95 per household per month. If that's the case, the rates will reach the level they were at two years ago by 2020. The Sanitary District has reduced rates twice in the past two years. I'm in favor of this change. It will take a little getting used to and will likely not end up being very inconvenient for most ratepayers. In cases where space for an additional cart is a problem the CMSD staff will review those on a case-by-case basis. 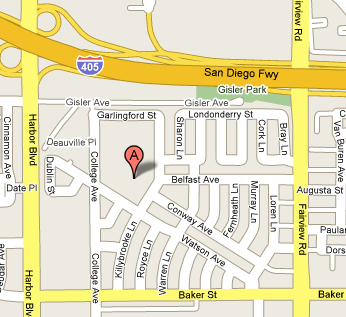 See you Saturday at the Back Bay High School at 9:00 a.m.. 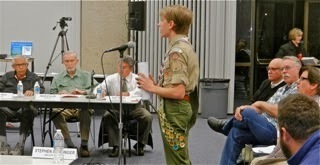 Following the unusual act of saying the Pledge of Allegiance to the flag when there was no flag present (flag etiquette says it's OK to do that), the Public Comments segment was launched by the introduction of young Boy Scout Christian Redman, who announced his Eagle Scout project - the rehabilitation of an acre of land within Fairview Park, which apparently will take place in one day - March 16, 2014. He told the committee and approximately 30 members of the public in the audience at that time of his plans and is soliciting assistance and funds to rent equipment to perform the job in the time allotted. As you can tell from all the badges, he's a very accomplished Scout. Long time resident Chris Blank spoke to the committee and expressed his view - that he had apparently sent in a letter to Public Services Director Ernesto Munoz recently - that the committee was making decisions on issues for which they had insufficient current information. He told us that the City Council, the previous night, had approved the creation of a Request For Proposal (RFP) for a consultant to perform an update on the Master Plan of Open Spaces, which has not been updated for a decade. He postulated that this update should be accomplished BEFORE the committee attempts to complete its mission. Harold Weitzberg concurred with committee member Brett Eckles that the city likely needs more sports fields, but feels that Fairview Park should NOT be the venue for any of them. 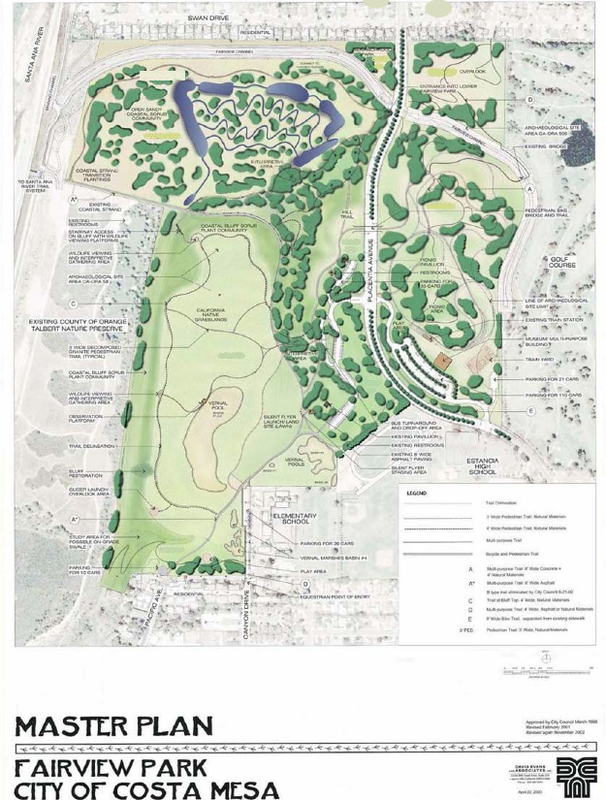 He suggested, quite seriously, that space for at least seven (7) soccer fields could be carved out of half of one of the two golf courses that form the links of the Costa Mesa Country Club. He suggested reducing one of the 18-hole courses to a 9-hole Executive Course and use the remaining space for the fields. Many of the rest of the 13 speakers agreed that the park should be left in its natural state, and that the committee had the cart before the horse - trying to make decisions without sufficient information. That certainly has been the case with current data on field use, which has been difficult to get and will likely be even more so with the abrupt departure of Recreation Manager Bob Knapp last week. 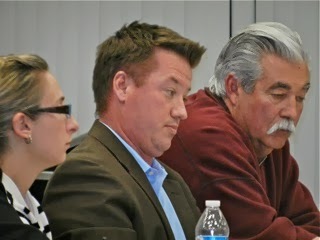 Munoz quashed a rumor that Fairview Park is for sale, then told the committee that documents showing deed restrictions for the park will be on the City website this week. He expanded on the RFP for a consultant to do the update of the Master Plan of Open Spaces. 1 - Retain the elements of the Master Plan as it reads now. 2 - A Community Garden in a small sliver in the northern edge of the quadrant. 4 - Establishment of a Nature Center with Bird Watching Platforms. The discussion and vote on the first item - Retaining the elements of the current Master Plan as-is - should have foreclosed discussion on the remainder since it passed on a 6-1 vote - Ron Amburgey voted NO. But, the committee decided to discuss and vote on the remaining three anyhow... very curious and a prodigious waste of time. Seven members of the public chimed in on the suggestion that a Community Garden be placed in that tiny sliver at the northwest edge of this quadrant. None thought it was a good idea for many practical reasons - location, difficulty accessing it, lack of nearby parking, etc. Only Ron Amburgey voted for it - the other six members present voted NO. Amburgey's argument for the inclusion of a Community Garden was because, "the Mexicans on the Westside don't have any land and they like to grow their own food." This comes right out of the same song book that he brought to us when, during the discussion of a possible Archery venue, he said, "Where are the Indians when you need them?" The idea of informational kiosks received a thorough vetting and the final vote was to recommend inclusion, but without pamphlets, which several speakers suggested would end up being trash in the park. Only Vice Chair Steve Smith voted NO. The final item - the establishment of a Nature Center with Bird Watching Platforms - failed to get enough support on a thin 4-3 vote. Amburgey, Eckles and Lee Ramos supported the concept. The next area to be considered is the Southwest Quadrant - location of the Harbor Soaring Society site, many vernal pools and the site of the now-infamous decomposed granite paths. The business last night was to take the original list of 35 possible changes to the current Master Plan and eliminate several as inappropriate for this particular quadrant - in this case eleven (11) items suggested by the staff. The remaining 24 will be evaluated by the staff, who will make a presentation on each at the next meeting, where the committee will discuss, take public comments and vote on each one. I've included the list of the two dozen items that will be considered at the meeting on March 5th. As you will see, some seem to be slam-dunks for inclusion, while others will certainly generate lively discussion. If you wish to make your opinion known, please communicate directly to the Public Services Department at City Hall at 714-754-5335 or send letters or emails. The addresses for Mejia, Munoz and City Engineer Fariba Fazeli are on the City web site. 1 - Additional picnic structures SW and NW Quadrants. 3 - Baseball/Softball Facilities SE or SW Quadrant. 5 - Expand train routes NW or SW Quadrant. 6 - Improve information kiosk SW Quadrant. 7 - Vernal Pools preservation with cables, signage, and delineation. 12 - Retain the elements of the Master Plan as it reads now. 13 - Install a two-tier building that includes an interpretive center and terrace/viewing deck. 16 - Westside grass area/sprinkler system improvements. 19 - Eroding bluffs: install staircase SW Quadrant. 20 - Install information kiosks with pamphlets NW and SW Quadrants. 21 - Trail exercise stations. 23 - Roller hockey surface. 24 - Expand Orange County Model Engineers tracks across bridge. 25 - Improve/designate bike paths. 26 - Plant native/drought resistant plants Center of SW Quadrant. 30 - Expanded concert area. 32 - Build train track around SW Quadrant. 33 - Nature Center - Bird Watching Platforms. 35 - Marked running courses. As you can see, some of these will require very significant amounts of staff time - from a very diminished staff. And, to further add to the futility of this exercise is the other shoe waiting to drop - the decision by U.S. Fish and Wildlife on what we will be able to do, if anything, in the aftermath of the decomposed granite path debacle. 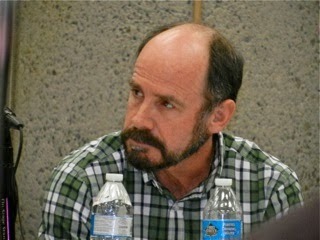 On that subject, Mayor Pro Tem Steve Mensinger - a City Council liaison to this committee - was absent from the meeting. He was probably at home, boning up on what he will say to the agents from USFW when he speaks with them soon. 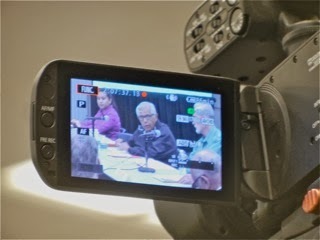 David Stiller inquired of Munoz of the current status of the USFW investigation. He was told that we are still awaiting a response to the city's letter. USFW is waiting on a report from our biologist. Brett Eckles expressed satisfaction that there was such a good turnout from the community, and that Weitzberg brought a potential solution to the lack of sports fields, and indicated that this committee was creating a vision. 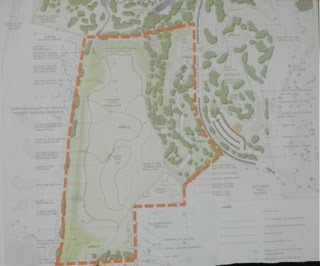 Ron Amburgey opined that he thought we needed a Community Garden somewhere in the park - for the reason I indicated above. Lee Ramos "echoed" Amburgey, then launched into what apparently was the Cliff Notes version of his stump speech for his run for City Council this year. It had a kind of a Rodney King "Can't we all just get along" vibe. Anna Vrska told us she was meeting with all the sports teams in the city, attending games, meeting coaches, and was about half-way through that process. Steve Smith had nothing to say. 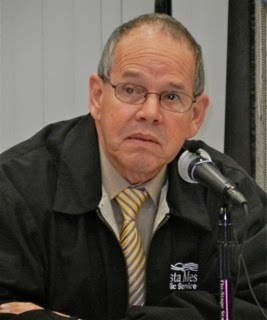 Chairman Richard Mehren got our attention when, after he said the committee is doing the best job it can, he concurred with several speakers who expressed the need for a "needs assessment" BEFORE going forward. He said, "I don't know how we can continue with this process until we have a needs assessment." BINGO! Without a needs assessment the exercise is just a wish list - which is precisely how the list of 35 items was conceived. You know, this has a very familiar ring to it. The Charter Committee was sent out to create a Charter without ANY study of whether we actually NEED one. 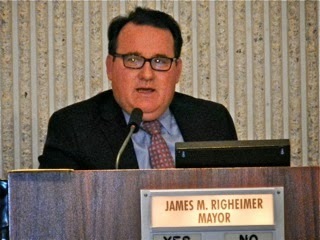 In fact, in one of his now-too-frequent "misspeaks", Mayor Jim Righeimer told the world that the Charter Committee would determine if we needed one - a statement he later recanted. This committee, too, was unleashed without sufficient information or guidance. They've moved forward with good intentions - and some strong pre-conceived opinions - without enough facts to guide their deliberations. It will be very interesting to see where they go from here. By the way, Old Barry Friedman was on the job with his Costa Mesa Brief cameras and microphones all set to record the event. I imagine it will be posted on his YouTube site, HERE, within the next few days so you can watch the event yourselves. OK, let's get this out of the way right up front. I was wrong! 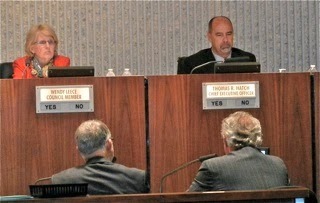 The Costa Mesa City Council meeting that began Tuesday evening DID NOT run until 12:30 a.m. as I predicted. It ended at 12:22 a.m. Wednesday morning! And, as it turned out, the wait was worth it for the 20 or so residents who stuck it out. 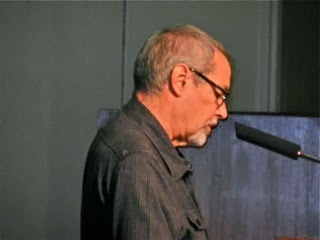 At approximately 12:07 a.m. resident Roger Chadderton, who had waited the entire meeting to speak, took his turn at the podium during the "trailed" Public Comments segment and accused members of the City Council of some hanky-panky dealing with the allocations of playing fields. It seems Mr. Chadderton plays in an adult softball league on one of the fields at the TeWinkle Sports Complex. 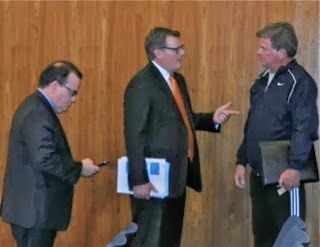 He told the council and those of us remaining in the audience that his league - just three days after the field allocation had been confirmed - was told that they would not be able to use the field, and nor would a girls softball group on an adjoining field, because they had been ousted by Matt Leinart's Football program. 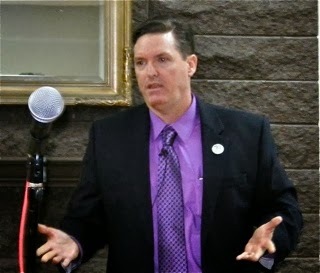 Chadderton looked directly at Steve Mensinger and accused him of causing that change - implying there was a USC connection. Mensinger attended USC and Leinart was a Heisman Trophy winner from that school. 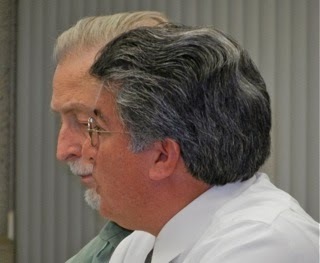 He further implied that Bob Knapp's recent departure as Costa Mesa Recreation Manager was a result of Knapp refusing to go along with the ouster of long-time group 1 users. He demanded to know what was behind that move, and also demanded Knapp's reinstatement. When Wendy Leece began to comment on the issue - demanding an investigation, Mayor Jim Righeimer came unglued! He flew into a rage and said, "Investigation?! Investigation?! Oh, sure, let's just have the Police Department investigate this!" Leece persisted and asked CEO Tom Hatch to investigate this issue and report back. Almost immediately after Righeimer gaveled the meeting closed at 12:22 he and Mensinger charged down off the dais and up the aisle to confront Chadderton, who stood his ground as Mensinger angrily pointed his finger at him and denied the charges, although he did acknowledge that Leinart is his friend. It will be interesting to see how this plays out. Early in the meeting, also during Public Comments, Yukon Avenue resident Kim LeBroux rose to complain about the recent tree removal hearing at the Parks and Recreation Commission meeting. 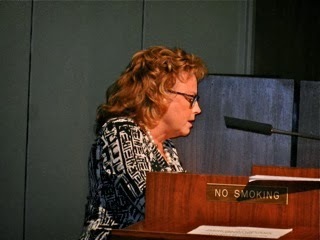 She accused "a commissioner" of playing favorites dealing with the issue of pine trees that line the streets in the neighborhood, and of arbitrarily changing the way the hearing went - splitting it into segments - and steering residents to modify their claims to satisfy the city staff. I watched that meeting... she was referring to Chairman Byron de Arakal. She was steaming! She demanded an appeal of the ruling and Righeimer commanded the staff to NOT remove ANY trees out there until this issue is resolved. Not unexpectedly, many members of the public had taken much of their weekend to read every page of the 1,051 60th Anniversary Celebration Report, the many segments of which you can find HERE. Eight of the 10 speakers accommodated in the first segment spoke critically of the report, providing more questions and demanding answers. Two others stuck it out until after midnight to also complain about the report. Several questioned the role of the Conference and Visitors Bureau, which apparently was used as a piggy bank to cover cost overruns for the celebration. Members of the committee demanded a full accounting and a chance for the committee to convene and review the report and to be given the opportunity to present an "after action report" to the council - perhaps in a study session. One of the most troublesome parts of the report is the circumventing of proper approval procedures. Staffers - Dan Joyce and Christine Cordon - signed "for Mike Scheafer", the Chairman of the committee, when he had not given any approval to do so. They just cut him out of the loop. There are many questions remaining as a result of that report and many residents are demanding a much fuller accounting. The three screening requests all moved on through the system, but not without serious discussion by residents, many of whom thought they represented an unhealthy trend to high density development throughout the city. Several speakers observed that these kind of developments represent exactly what participants in the General Plan Update meetings opposed - higher density and more traffic. Phrases like "Hodge Podge Development" and "Development Loopholes" were threaded through the comments. Those concerns were brushed off by Righeimer during another of his rants. Amusingly, Mensinger blurted out some irrelevant mention of the Unfunded Pension Liability - so far out of context and inappropriate at that moment that it made me wonder if he might have been dozing up there - or maybe he was distracted reading text messages. At 10:00 p.m. the council got around to New Business #4, the major reorganization of the Development Services Department, HERE. There was general agreement that Gary Armstrong, Director of Development Services and Deputy CEO, needs lots of help in his department. The staff report shows dramatically growing demand for services from that department, which suffers from a severely depleted staff. 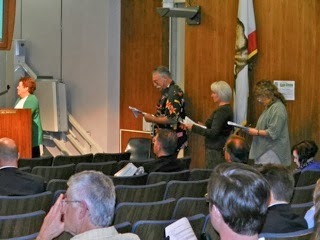 Retired Planning executive Perry Valantine stepped up to support the changes and the additional eight (8) positions. So did former Development Services Director Don Lamm, now a consultant to developers. During the discussion Mensinger - apparently looking up from his Iphone - tried to sidetrack the conversation with a discussion of something not on the agenda. He wanted to not fill the Assistant Development Services Director position requested and provide an Assistant Public Services Director to Ernesto Munoz! The guy is hopeless! It was totally inappropriate for him to attempt to hijack the discussion on an item not on the agenda, but he just kept on punching. After much discussion the council voted to accept the staff recommendations - without the Assistant Director position. Instead, they may fill that slot with yet another consultant. An interesting part of that discussion was Wendy Leece's inquiry of Hatch for his views since he had analyzed the needs and approved the presentation. Hatch was wishy-washy with his response, so the position was dropped. Following a relatively short discussion the council approved the request for funds to hire a consultant to help with updating the Open Space Master Plan, HERE. This process might take as long as a year to complete, but it has not been updated since the 2010 census numbers have become available. b. Approve the distribution of the Committee Facts Volumes 1, 2 and 3. 2. Authorize the lump-sum prepayment of the City’s annual required contribution for the Miscellaneous and Police Retirement Plans beginning in July 2014. 3. Authorize the use of the City’s annual savings from the lump-sum prepayment of the Miscellaneous and Police Retirement Plans to make additional payments to the Fire Side Fund beginning in July 2014 with the goal of paying off this fund early. 4. Authorize the Finance Director, with the concurrence of the City CEO, to annually review recommended actions two and three and implement or suspend them each fiscal year as appropriate to the City’s financial condition at the time. 5. Authorize a one-time additional $1,000,000 payment to the Fire Side Fund this fiscal year using funds that were budgeted in FY 2012-13 and FY 2013-14. 6. Provide direction on continuing the practice of budgeting an additional $500,000 per year for the purpose of paying down unfunded pension liabilities. During the discussion it was clear that Righeimer still feels that we really cannot do anything significant to reduce the unfunded liability. 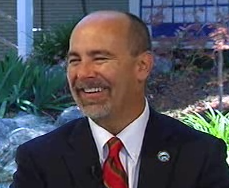 At least twice he said that nothing will happen unless more cities file for bankruptcy, hastening to add that Costa Mesa is OK, but the state won't make the changes necessary until more cities go bankrupt. He also said the employees should take the initiative, band together to tell Sacramento they are willing to take smaller retirements! 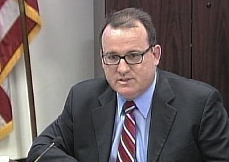 I thought it was interesting - and telling - that during his outlining of the things the Pension Oversight Committee covered during their tenure Arthur, at no time, mentioned the Municipal Bankruptcy Workshop they attended last year. I think Righeimer is correct... unless all the players in this huge drama can find a way to collaborate on solutions nothing short of municipal bankruptcy can sort it out. There are too many variables over which cities have no control. In the end the council voted to modify the staff recommendations by authorizing a $1 million payment to the Fire Side Fund, pay one year PERS contribution in advance, contribute $500,000 next year toward the Fire Side fund and have the Finance Director and CEO evaluate that plan each year. They took the vote at precisely midnight - 4-0. Gary Monahan had bugged out before this item was discussed. I had the impression that members of the committee felt like their work had been validated - several were in the audience - but that few felt this was a complete solution. We'll see how the discussion goes during the Mid-Year Budget Review at the study session next Tuesday. Today, Wednesday, is the meeting of the Fairview Park Citizens Advisory Committee meeting at the Neighborhood Community Center beginning at 6:00, HERE. See you there.